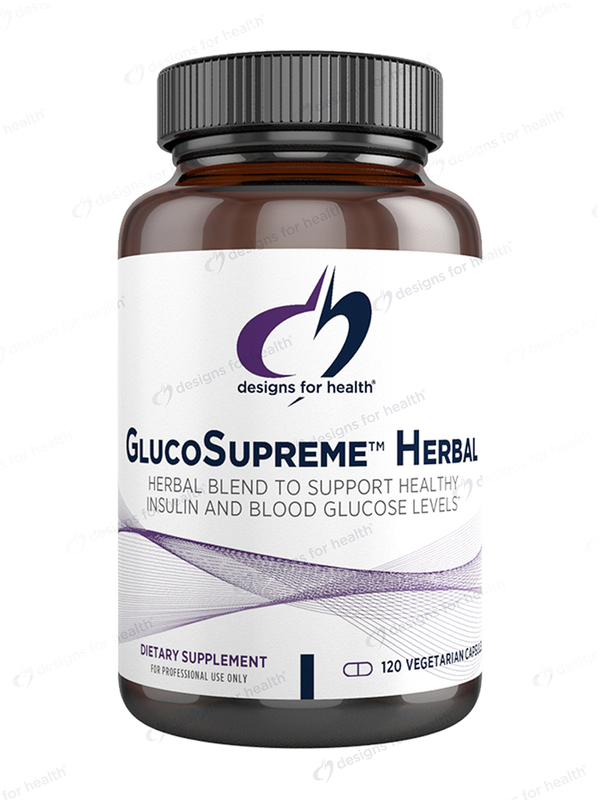 The GlucoSupreme Herbal by Designs for Health was recommended by our holistic physician for my husband's type 2 diabetes. After 4 months, his blood sugar was normal! He's free from the pharmaceuticals that he had been on for 15 years. Many factors can affect your body’s ability to use insulin properly. Insulin is a hormone that moves glucose (blood sugar) from your bloodstream to cells throughout your body. Your body needs glucose for energy. When your body can’t product sufficient levels of insulin or use it effectively‚ this glucose delivery system breaks down‚ which can cause a variety of uncomfortable symptoms. Potential signs of problems include fatigue‚ blurred vision‚ thirst‚ frequent urination‚ slow-healing wounds‚ and tingling in your hands and feet. Women may experience menstrual problems‚ weight fluctuations‚ hair loss on the head‚ and hair growth on the face‚ chest‚ or back. Salacia extract‚ which may keep your body from absorbing too much sugar from the foods you eat. Fennugreek extract‚ which may support healthy blood sugar levels and help your body produce insulin. Banaba extract‚ which may promote healthy insulin levels. Kudzu extract‚ which may help stabilize glucose. 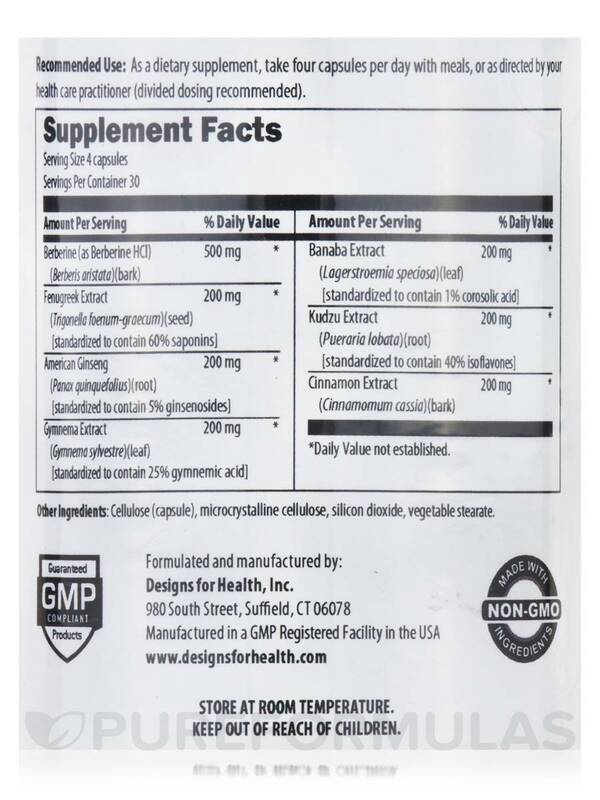 Cinnamon extract‚ which supports overall health. 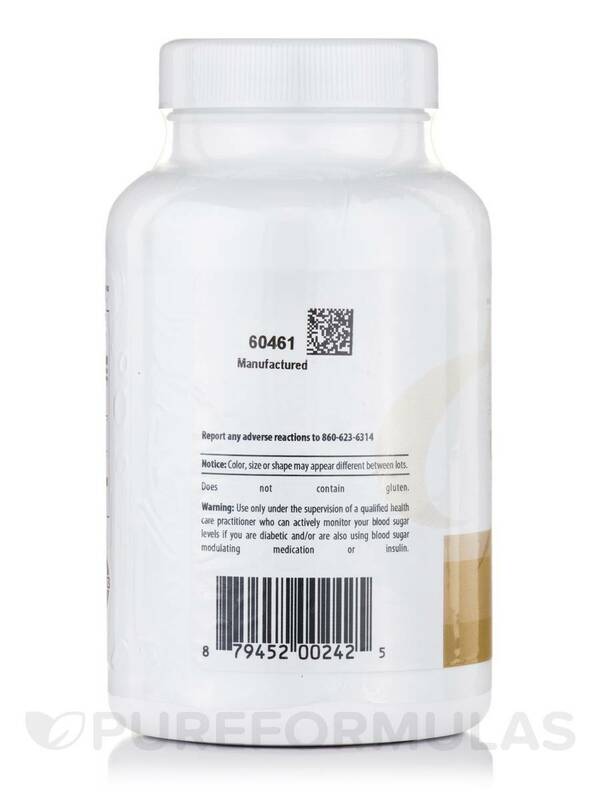 Each bottle of Designs for Health’s GlucoSupreme Herbal contains 120 capsules‚ which will last for about one month if you take two capsules twice each day‚ as recommended by the manufacturer. As a dietary supplement‚ take four capsules per day with meals‚ or as directed by your healthcare practitioner (dividing dosing recommended). Use only under the supervision of a qualified healthcare practitioner who can actively monitor your blood sugar levels if you are diabetic and/or are also using blood sugar modulating medication or insulin. Free from type 2 diabetes pharma! Keeps my sugar under control!! 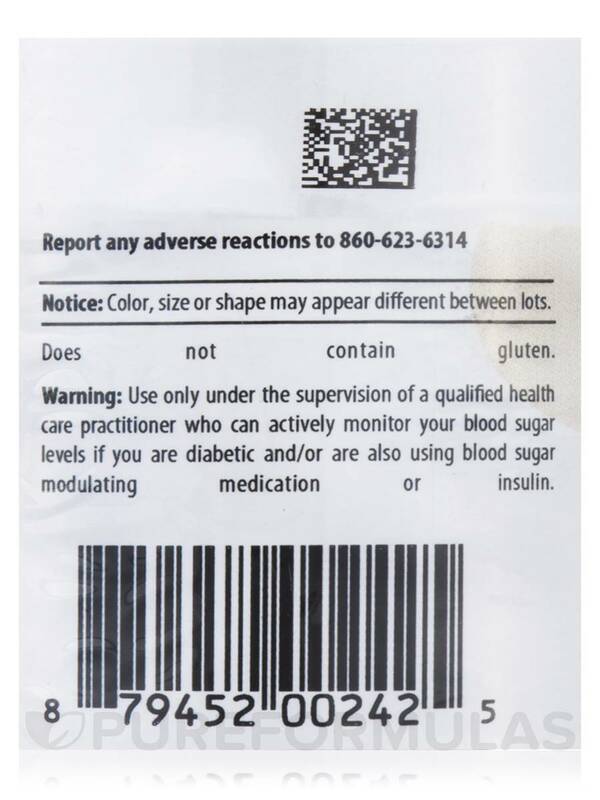 My doctor recommended GlucoSupreme Herbal as Id been diagnosed as prediabetic. Ive been taking 4 daily for about 3 Years and my sugar level is normal. Very happy with GlucoSupreme Herbal and Pureformulas! First of all I loved the shipping from PureFormulas. It was fast and free. Taking GlucoSupreme Herbal by Designs for Health with meals 3 times a day stops my sleepyness after meals.....that is... it keeps insulin under control and along with CLA diet and exercise I am losing weight steadily....without side effects.